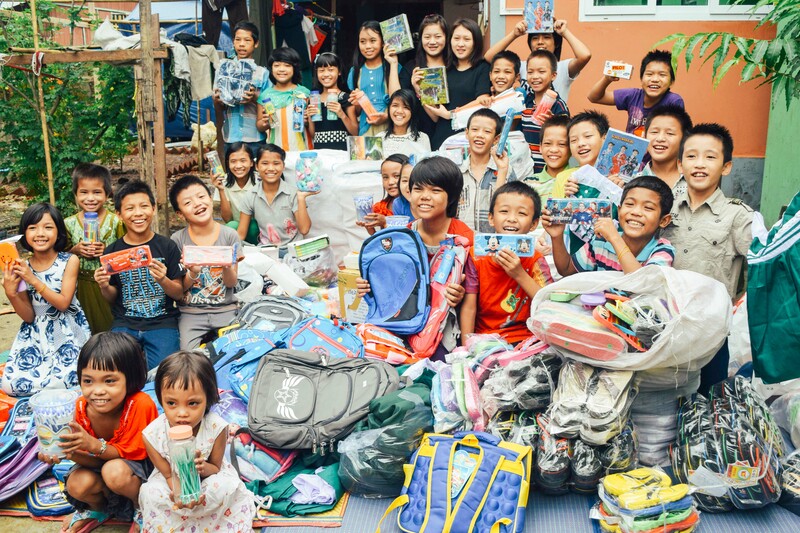 Photo: Children at one of our five Myanmar orphan homes are ecstatic to get new school supplies and uniforms for the start of the Burmese school year. We are thankful to report that we recently partnered with a new local orphan home in Myanmar to provide for more children in need. With this new orphan home, our native team is now operating a total of six orphan homes, caring for 132 children. Two of the houses are owned by local leadership, but four of the homes are rented, requiring them to pay 6 months rent in advance per the local custom. With your support, we are seeking to raise sufficient funds to cover the rental fees. At Peace Gospel, we’re committed to restoring joy and hope to children who’ve already lived more difficult lives than most of us. Our aim is to give them a safe, nurturing home where restoration can take place. We do this through our resident care program: we house and provide total care for orphaned children in a loving family environment. For just $48 a month, complete holistic care is provided for an orphan, including hygiene needs and clothing, a quality academic education, rehabilitation and counseling to address the child’s history, purified water and nutritious meals using organic ingredients from our farmlands and gardens, and medical and dental care. 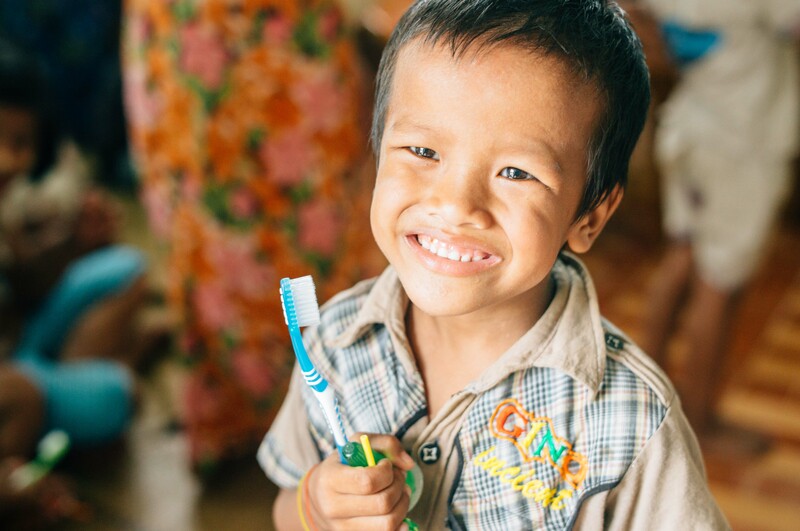 One of our Myanmar orphans awaiting sponsorship is Nunham, a 6-year-old boy who wants to be a doctor when he grows up. Since coming into the transitional part of our program, we’ve discovered that he enjoys playing group games and singing. With help and support from new classmates and orphan home staff, Nunham is now studying in 1st grade, and his favorite subjects are English and Burmese, the native language of Myanmar. An orphan sponsorship will protect Nunham from the dangers of child labor, slavery, abuse, and/or trafficking, and offer him peace in a secure and caring family atmosphere. Click here to sponsor Nunham today. Photo inset: Nunham, a 6-year-old orphan awaiting sponsorship in Myanmar. We also recently completed construction on a small wing (384 sq. ft.) at the back of our main orphan home for our Myanmar director and his family’s own private quarters. Previously, he, his wife, and biological children were all sleeping in one of the common rooms of their home — they were spread between one mattress and some floor mats in a very tiny multipurpose space. Now they have more space and a new bathroom to give them more comfort. We are thankful for these improvements to their lives because they have lived sacrificially while we have addressed other critically urgent projects first. Photo inset: (Top-left): Girls from our orphan home are thrilled to have new uniforms and school supplies to start off their new school year. 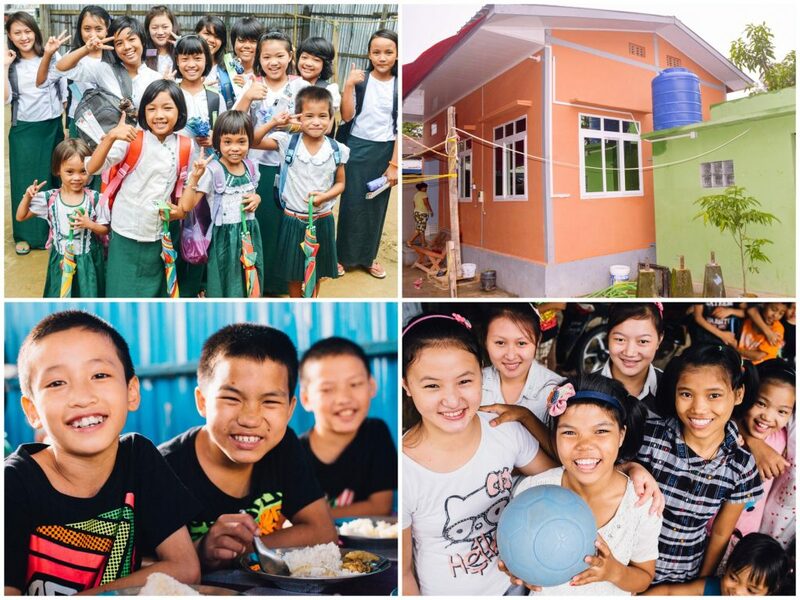 (Top-right): We recently completed construction on a small wing at the back of our main orphan home for our Myanmar director and his family. (Bottom-left): Our native team in Myanmar is able to serve over 400 meals each day to orphans and staff through their farmland enterprise efforts. (Bottom-right): These children at our orphan home are thankful to be rescued from child labor and placed in a loving family environment which provides for their needs. In other good news, with the rainy season behind us, our 132 orphans started back at the beginning of their new school year this month. With your support, we were able to provide them with new shoes, new school uniforms, umbrellas, notebooks, pens, pencils, rulers, and backpacks. The children loved receiving these new school supplies, and they are happy to be studying Burmese, math, history, geography, science, and English in school. In addition to donations made by our orphan sponsors, our children’s education is made possible by profits from our 12-acre farmland project, and on-campus gardening projects. Our farmland enterprise produces several tons of rice each year, and along with our gardening projects, our native team in Myanmar is able to serve over 400 meals each day to orphans and staff in six different homes in the country. The farmland not only provides fresh staple ingredients for their meals, but also produces a lucrative profit to create important funding for things like school supplies for the children. One can only imagine the exponential ripple effect these children will make in the world as they eventually graduate and go on to lead successful, productive lives.